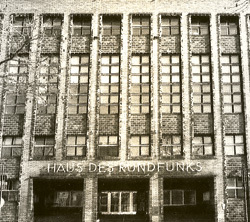 This is the first presentation of a lost jazz concert from the Helmut Brandt estate, recorded March 1963 at SFB Sendesaal/ Haus des Rundfunks in West Berlin. That evening the “Helmut Brandt Orchestra” consisted of eleven soloists from the Berlin radio orchestras of RIAS and SFB, including Benny Bailey, Herb Geller, Nat Peck and Ack van Rooyen. They played a one-off concert of mostly unknown compositions, taped by producer Hans Gertberg for inclusion in the huge archive of NDR Jazz Workshop recordings at “Norddeutscher Rundfunk” in Hamburg. Tunes like “Boogie Waltz” or “Opus C-Moll 794” are presented here for the first time ever, as well as Brandt's outstanding “Ferien-Suite” in six movements. This orchestral piece evokes five musical pictures from an imagined holiday trip, culminating in the sixth movement “Photoalbum” - a reprise of the previous five arrangements. “Berlin Calling” uses the motif of a well known WWII era BBC radio programme of the same name. “Trifi” and “Stellar” had never been recorded before and were composed by Ack van Rooyen's brother Jerry, who moved to Berlin two years later to become leader of the SFB Orchestra. Composer and saxophonist Helmut Brandt was born in 1931 in Berlin. As a boy listening to enemy radio stations, Brandt discovered the sounds of Count Basie, Woody Hermann and “the Duke”. 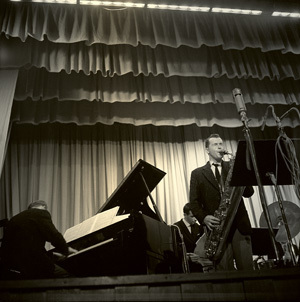 In the beginning the young man played traditional jazz on tenor saxophone before switching to baritone in 1954, heavily influenced by the American West Coast sounds of Gerry Mulligan. Brandt made his first steps as a professional musician in the orchestras of Kurt Widmann and Lubo d'Orio before founding his own quintet in 1955, the now legendary “Helmut Brandt Combo”. The Combo made their debut at the German Jazz Festival in Frankfurt, thrilling the audience with their distinctive arrangements and personal style. Brandt had studied the complicated arrangements of the Miles Davis Capitol Band and the Stan Kenton Orchestra, so the combo's two horns sounded as if they were six. The band soon “became the quintessence of Cool Jazz in Germany”, as former tour manager Siegfried Schmidt-Joos remembers. 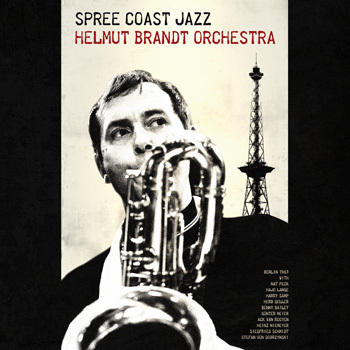 A little later Brandt performed with Miles Davis, Zoot Sims and Kenny Clarke and even the great Lester Young played with the Helmut Brandt Combo during a four week engagement in Frankfurt. 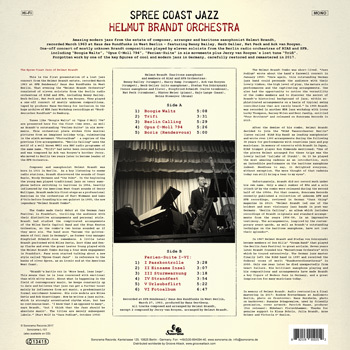 Fans soon started talking about a new style called “Spree Coast Jazz” - in reference to the banks of river Spree, as an ironic nod at the American West Coast. The Helmut Brandt Combo was short-lived. “Jazz Podium” wrote about the band`s farewell concert in January 1959: “Once again, this outstanding German jazz band could persuade the audience with their lovely timbre, the high level of play, the mature solo performances and the captivating arrangements. One also had the opportunity to notice the versatility of the combo members and to discover the secret of Brandt's historical background of jazz, within sophisticated arrangements on a basis of typical swing contributions that are rarely heard.” In 1960 Brandt was recorded in another NDR jazz workshop with icons Lucky Thompson, Barney Wilen and Bent Jaedig, entitled “Four Brothers” and released on Sonorama Records in 2015. After the demise of his combo, Helmut Brandt decided to join the “RIAS Tanzorchester Berlin“ (later called RIAS Big Band) as leading saxophonist and wrote over 1300 arrangements during the following 38 years for performances with countless jazz and pop musicians. In memory of concerts with Brandt in Japan, RIAS trumpet player Ron Simmonds mentioned: “One of the pieces Helmut arranged for these trips was the lovely ballad 'Lullaby of Itsuki'. On it he played the most amazing cadenza as an introduction, such an incredible performance on the baritone saxophone indeed. Needless to say, it delighted everyone, without exception. The mere thought of that cadenza today can still bring a tear to my eyes”. Unfortunately, Brandt did not record much under his own name. Only a small number of EPs and a sole 10inch LP by the combo were released during the second half of the 1950s. For that reason, Sonorama Records recently published a collection of unknown AFN and SFB recordings, reviewed in German “Jazz thing” magazine in 2013: “Helmut Brandt led one of the boldest and most visionary jazz bands in post-war Germany. 'Berlin Calling', an album which includes recordings of Brandt originals and standard arrangements from the years 1956-58, is an impressive testimony. The arrangements, inspired by the contemporary avant-garde, as well as Brandt's outstanding technique on the baritone saxophone, have not lost their splendor”. 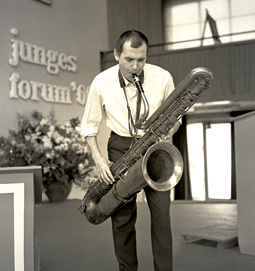 In 1967 Helmut Brandt and Stefan von Dobrzynski became members of Don Ellis' “Dream Band” that played the Berlin Jazz Festival to great acclaim. Seven years later Brandt founded his “Mainstream Orchestra” with which he toured extensively. The German jazz master finally left the RIAS band in 1997 and received the federal cross of merit “Bundesverdienstkreuz” in 2000. Only one year later he died unexpectedly from heart failure. His brilliant saxophone playing and his compositions and arrangements have made Brandt a key figure of Modern Jazz in Germany, and a great inspiration for many musicians today. used by friendly permission, cover artwork: Patrick Haase, producer (for release): Ekkehart Fleischhammer. Thanks for genuine support to Julia Brandt, Klaus Scholz, Arne Reimer and Victoria O' Hanlon.